Photo submitted to Times Observer Hope Hefright. Photos submitted to Times Observer Pictured from left are Desiree Booth, Kalli Tomassoni, Morgan Genung, Hope Hefright, and Rachel Dietsch — members of Eisenhower’s Art Club. 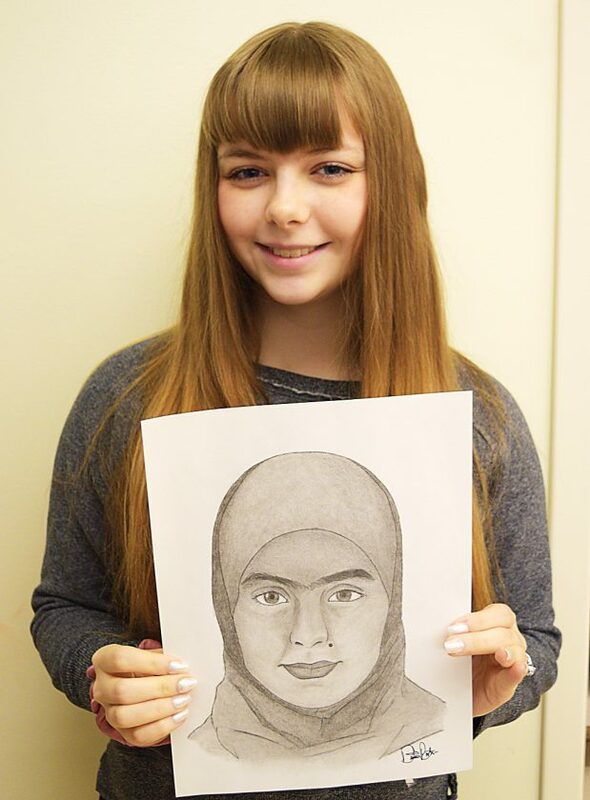 Art students at Eisenhower Middle High School recently participated in a project known as the Memory Project. 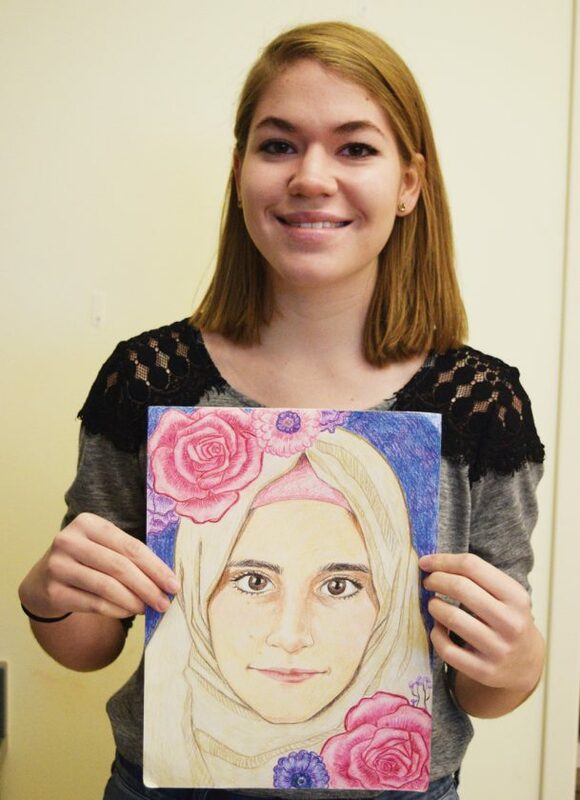 The Memory Project is a charitable nonprofit organization that invites art teachers, students, and artists to help promote global kindness through the creation of portraits for children around the world. These children are those who have faced substantial challenges through violence, war, extreme poverty, neglect, or children who have lost parents. The Memory Project was founded in 2004 after Ben Schumaker spent a month in an orphanage in Guatemala. He learned there that the children had very little special belongings to help capture their life stories. 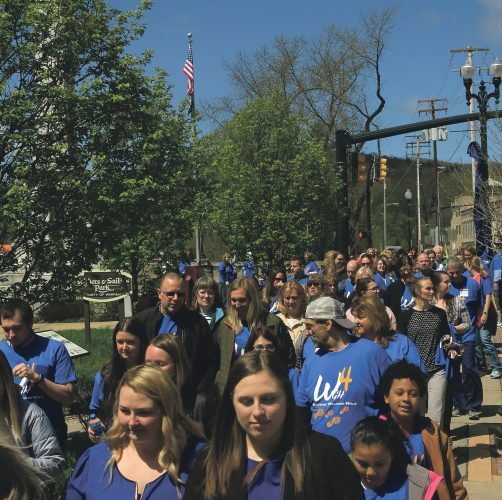 He came about the idea of creating portraits for these children in order to create positive and tangible “memories” for the children in their future. The portraits also help to create feelings of international friendship and solidarity. Each year, the project partners with different charities around the world who deal with children from different parts of the globe. The charities that the project collaborates with photograph the children’s faces and send them into the Memory Project. The photos are sent along with the first name of the child, their age, country, and the child’s favorite color. The children’s photos sent to Eisenhower were young girls from Syria in the Middle East. Each student was also able to write a message on the back of their portrait in Arabic, the tongue of the Syrian children. “I am very proud of their creations, they captured their facial features and sense of personality within the creative portrait,” said McElhaney. 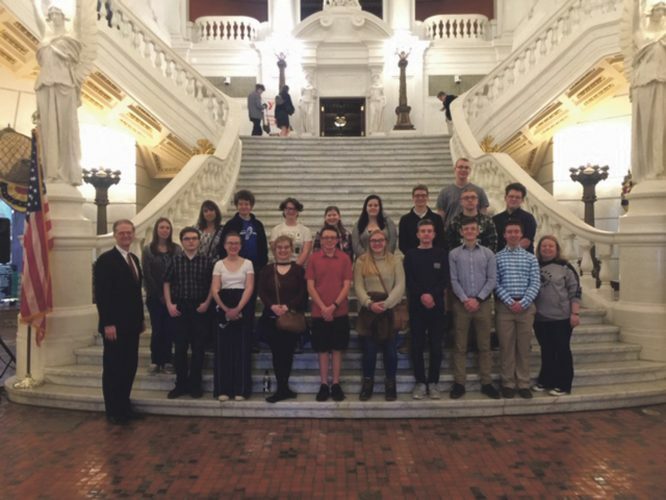 The art students “were excited to spread kindness to these young ladies in another country creating a precious memory, spreading kindness and peace between all people in this world,” according to McElhaney. 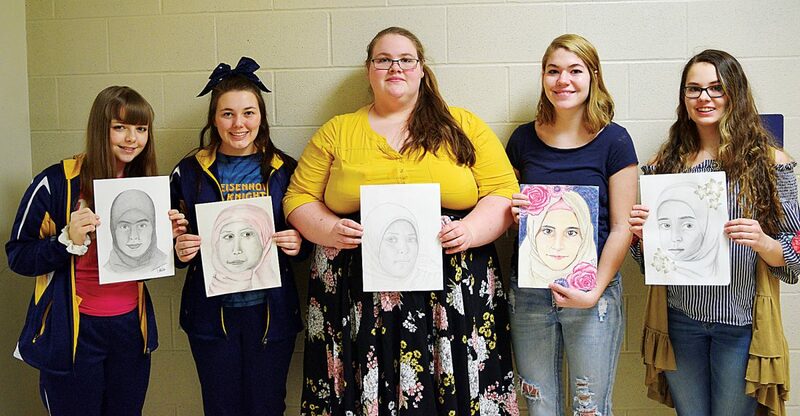 Desiree Booth (Art 4), Kalli Tomassoni (Art 4), Morgan Genung (Art Club), Hope Hefright (Art III), and Rachel Dietsch (AP Art) were the students responsible for creation of the meaningful portraits. Desiree, Kalli, Hope, and Rachel are all members of the National Art Honor Society — which requires them to maintain an 85 percent or above average in an art class and participate in three services projects during the school year. All girls are members of the Art Club, and Morgan plans to enroll in Art Class next year. Two Memory Project staff members visit each country to deliver children their portraits between December and July annually.